Catherine’s journey started with a passion for people, and and it was that desire to help as many of those people as possible that led her to training in Chiropractic. She graduated from the Anglo European College of Chiropractic with a BSc Human Sciences degree and an MSc in Chiropractic in June 2017. The AECC gave her the opportunity to work closely with children, babies and breast-feeding mothers through a voluntary project called The Feeding Clinic. Through this grew a fascination of the intelligence of babies and children and the way in which Chiropractic can help them to be happy and pain free. She has continued this passion over the past year as part of the Total Therapy Team. 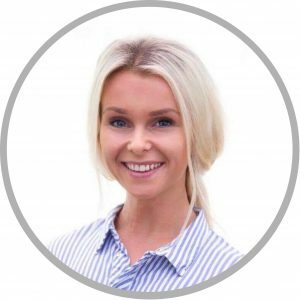 As a Doctor of Chiropractic, Catherine is focused on identifying the underlying neurological, biomechanical or physiological cause of a patient’s complaint and to help fully resolve their condition and restore normal function. Assessing each patient as an individual is central to not only resolving any present underlying issues, but preventing any dysfunction happening in the future too. In her spare time, Catherine can be found in the gym or out running along the beach. She is currently training for her first Half Marathon in order to raise money for Alzheimer’s Research UK. She has a love of good food, eating out, cooking and baking.